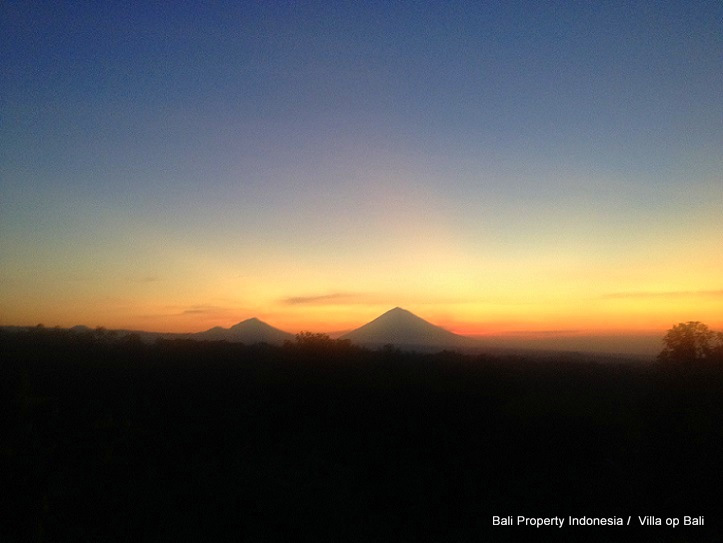 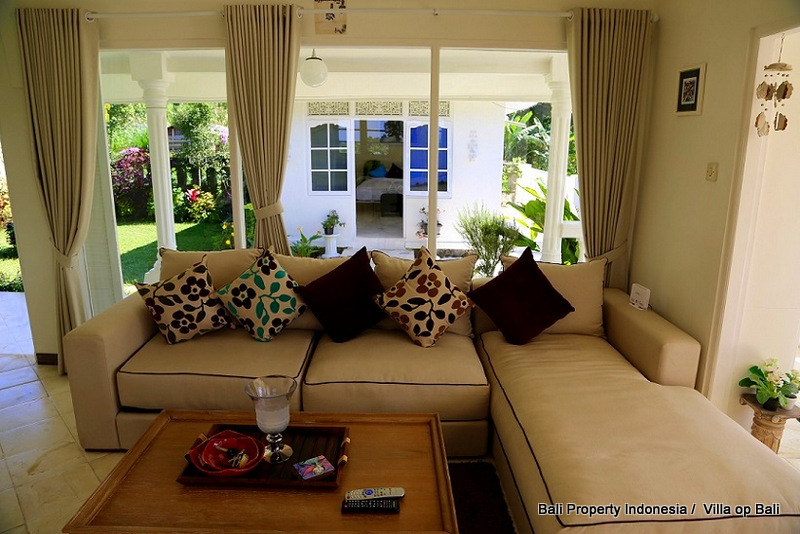 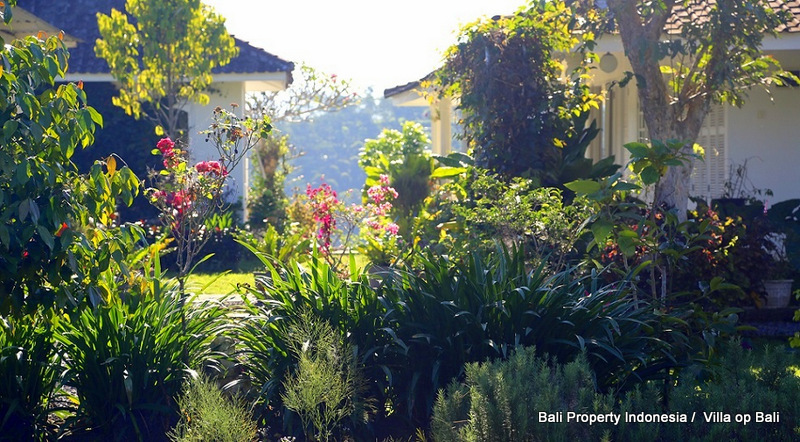 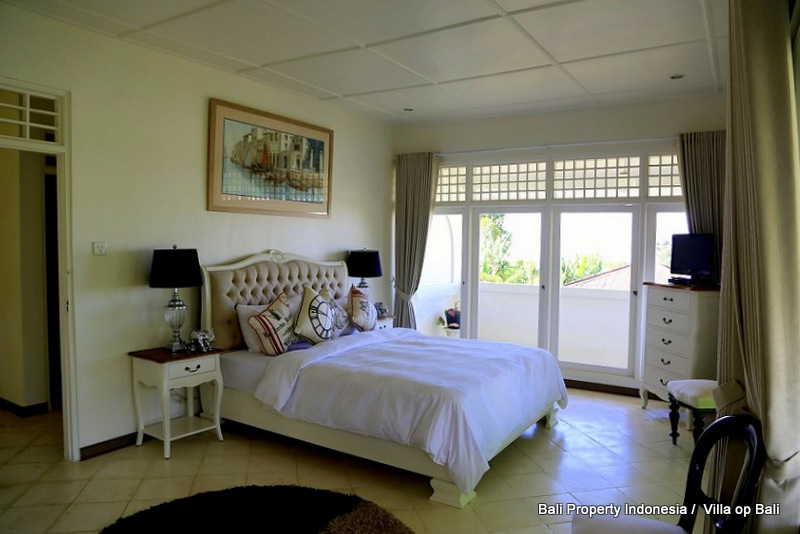 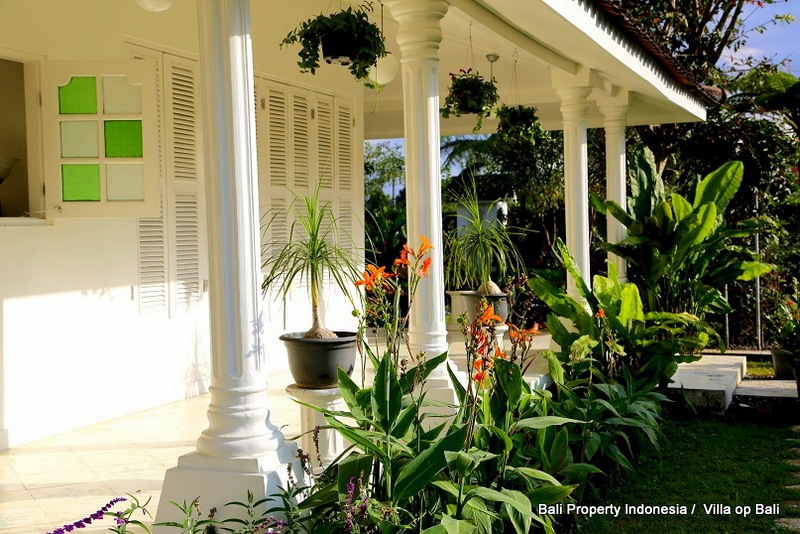 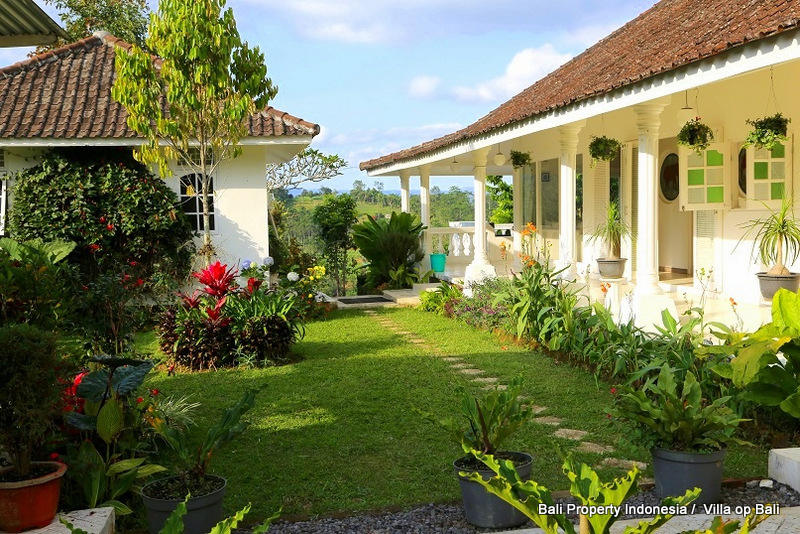 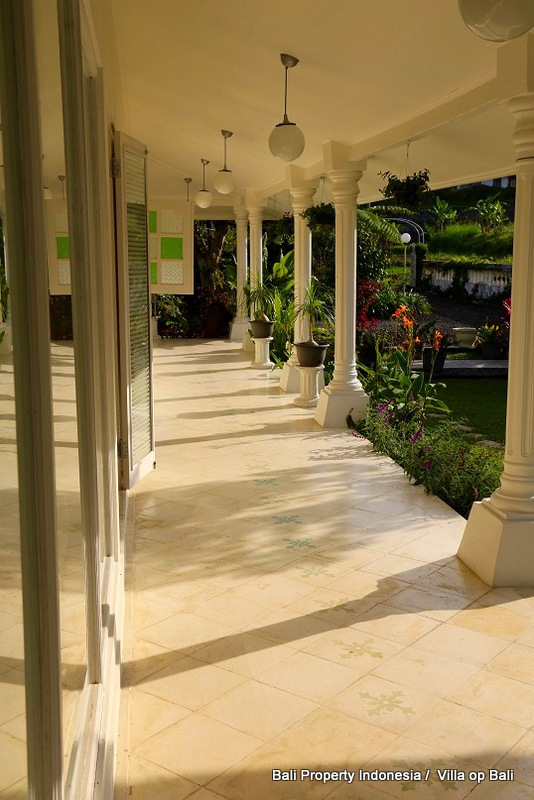 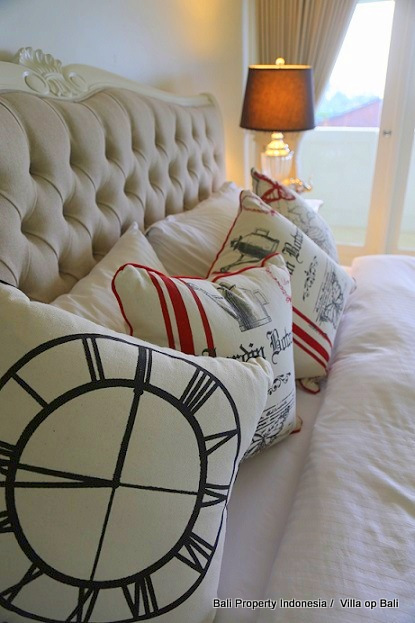 Mountain colonial style 3 bedroom villa for sale located in the center of Bali. 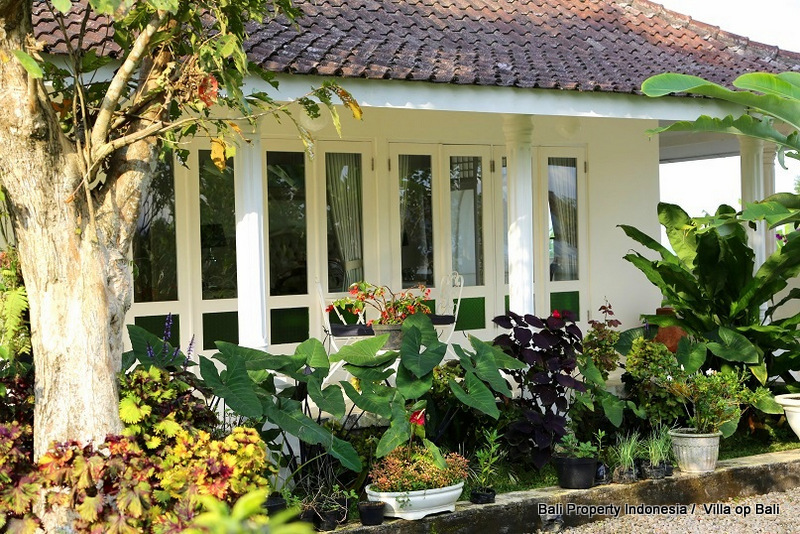 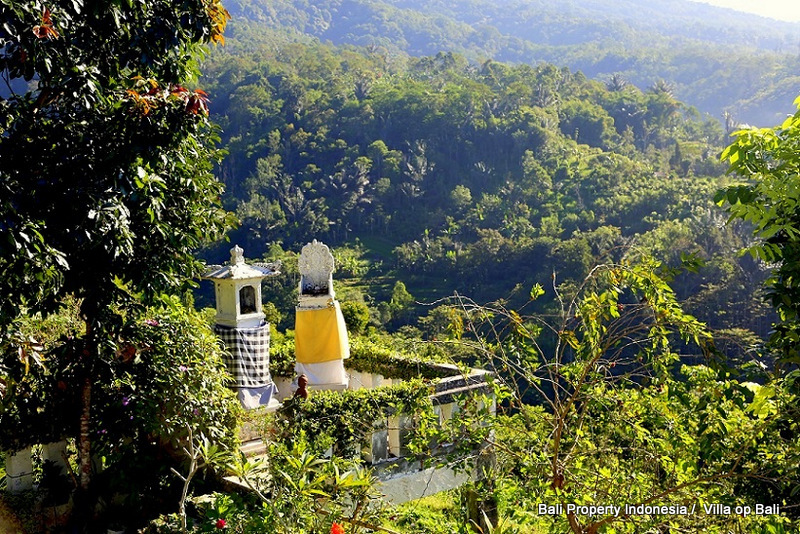 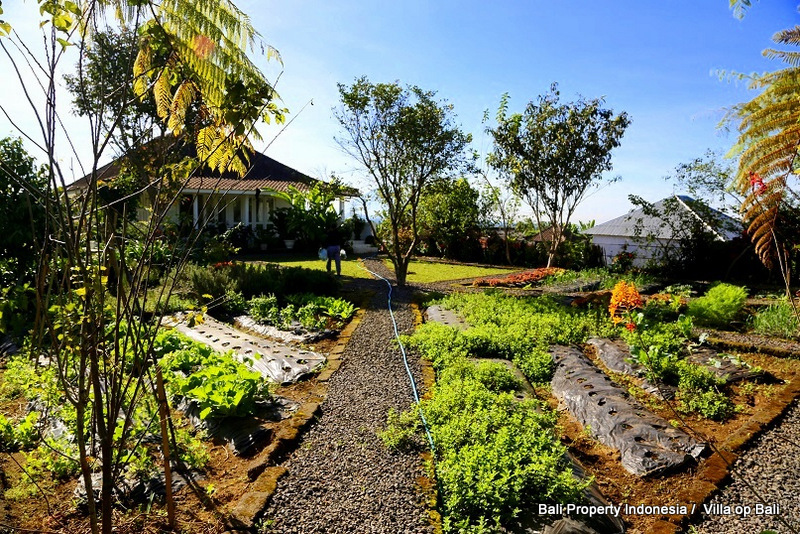 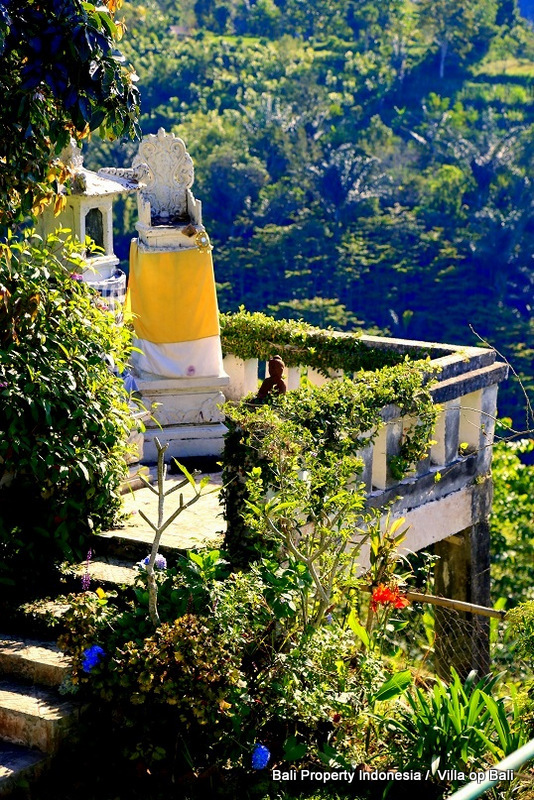 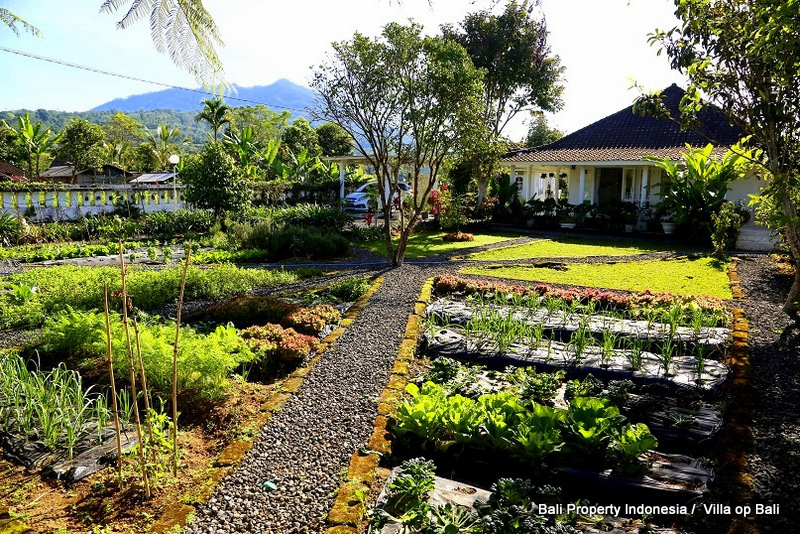 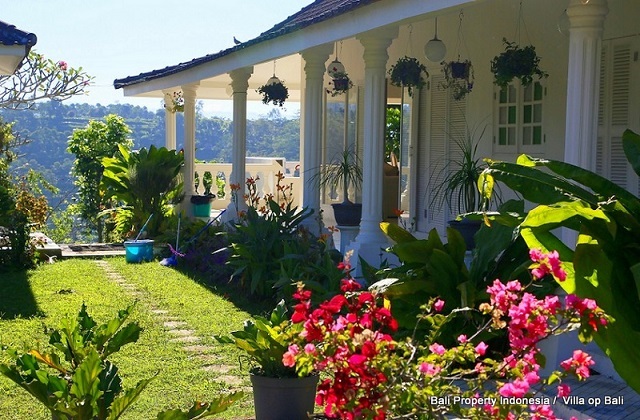 A wild flower garden and even an organic garden, these are your neighbors at this colonial style villa located in the mountains of the Bedugul, in the midst of Bali. 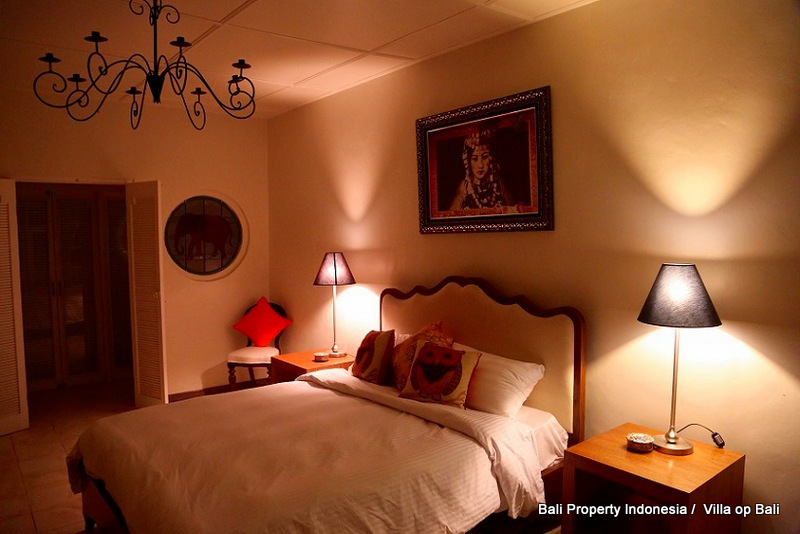 This location is ideal to live an easy quiet live and yet still comfortable. 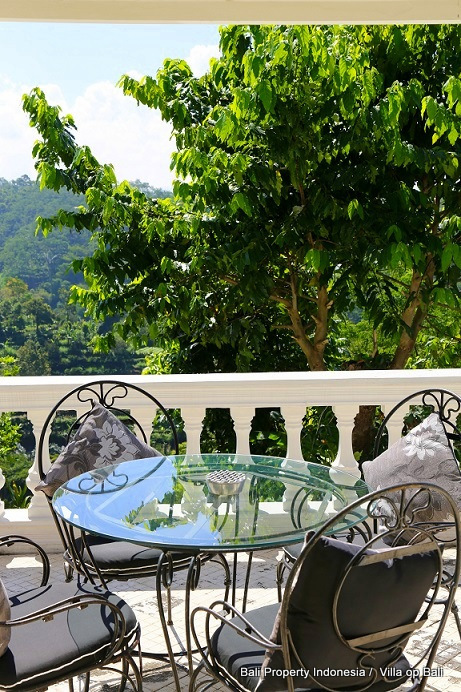 Can you imagine yourself on one of these high located balconies while enjoying a nice coffee. This mountain property consist out of 2 buildings. 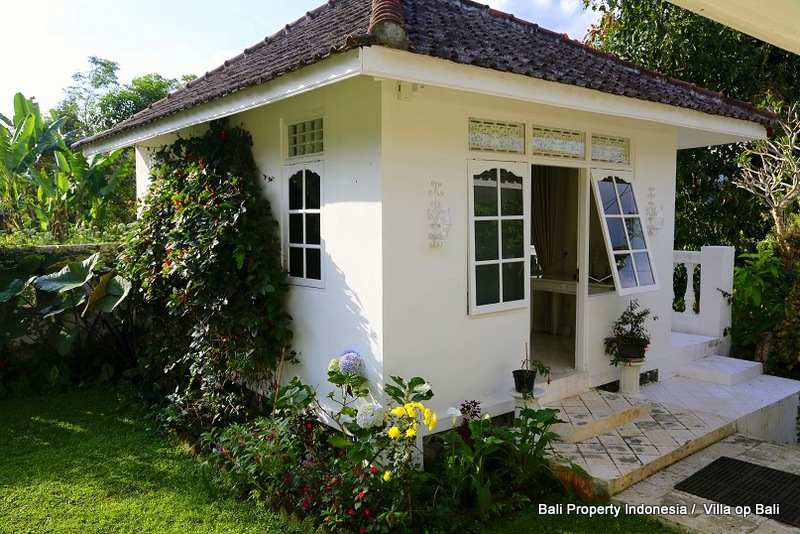 The smallest is a small guesthouse with one bedroom and 2 other bedrooms are in the main building. 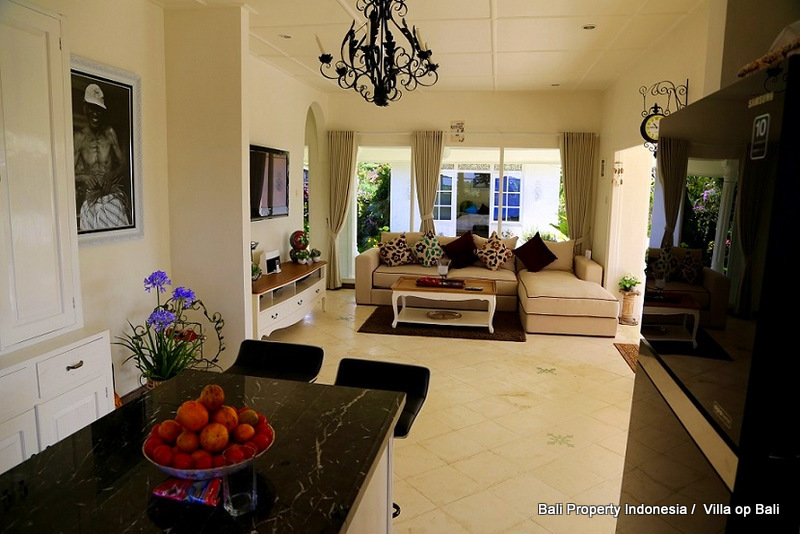 In this main building you will find as well the spacious large indoor living area with adjacent western style kitchen. 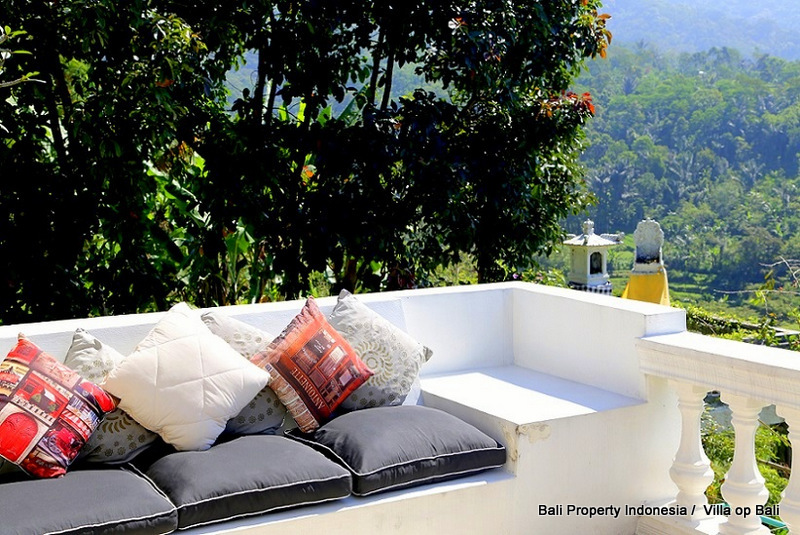 Straight coming out of the living room to the balcony you are directly overwhelmed by the breath taking view over the direct surroundings and far views over Bali. 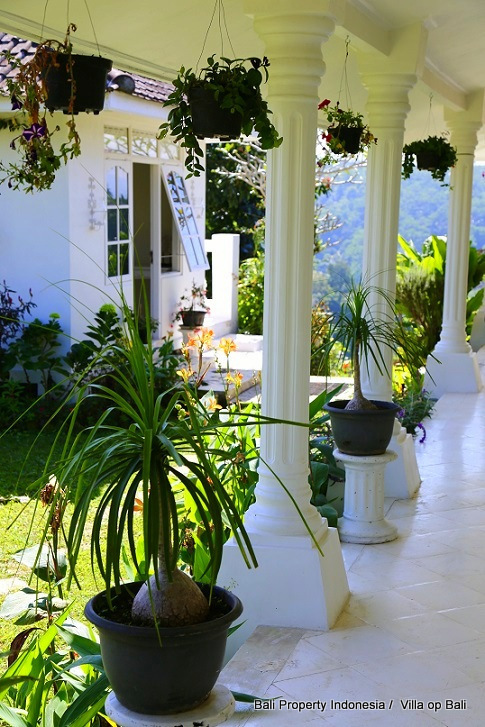 The main house is surrounded on three sides by a veranda with views all around. 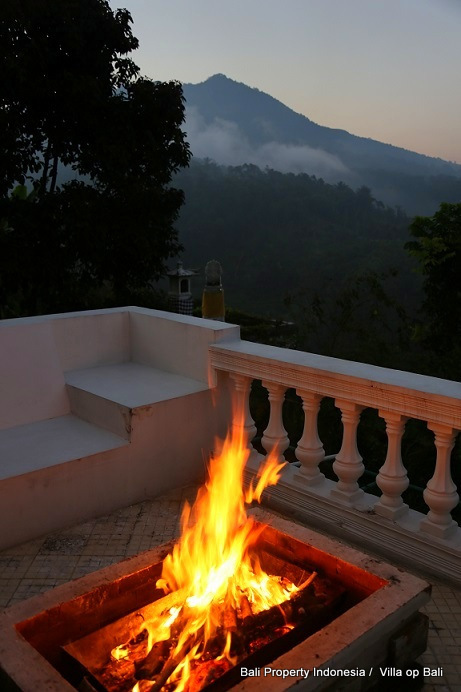 As you can see on the pictures there is even a veranda with a fire pit. 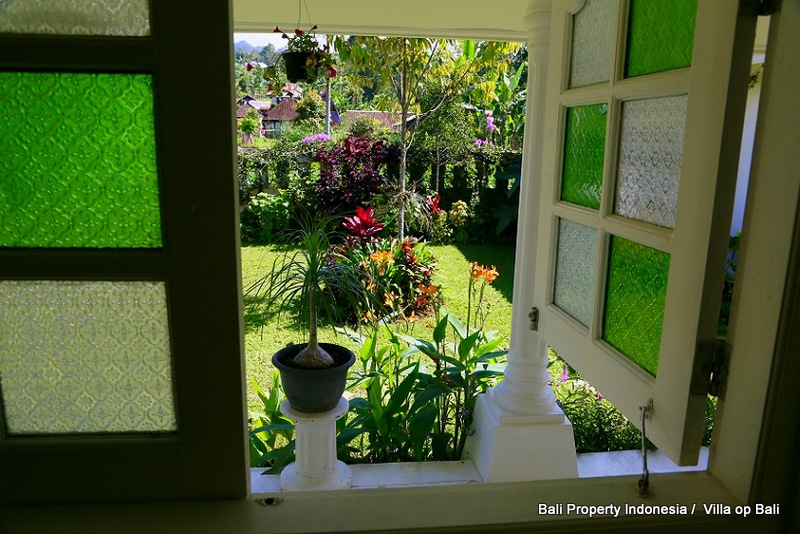 Remember that this is a higher location as the rest of Bali and it could be pretty fresh during the evenings and nights in this part of Bali. 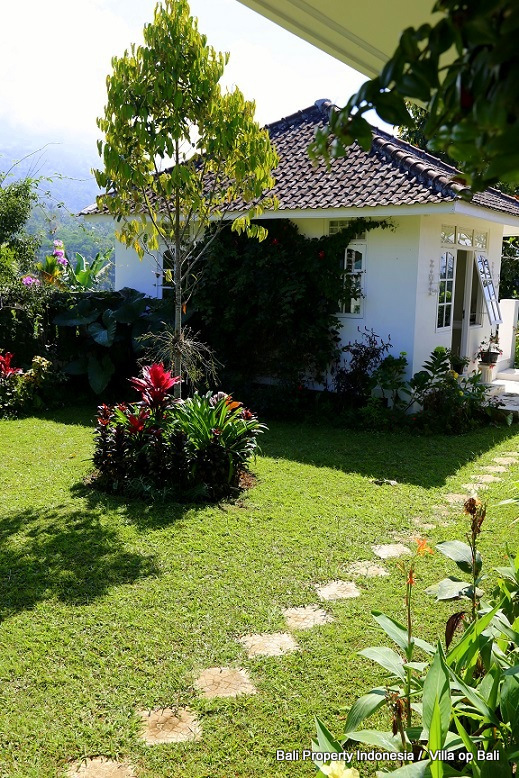 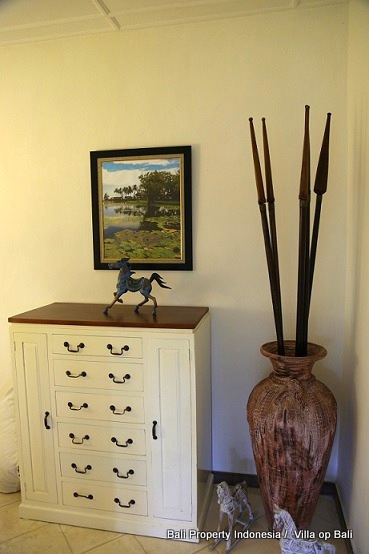 The villa is built in a modern colonial style and is complete surrounded by a large garden, even as mentioned before a part of the garden is organic to cultivate your own vegetables for preparing meals. 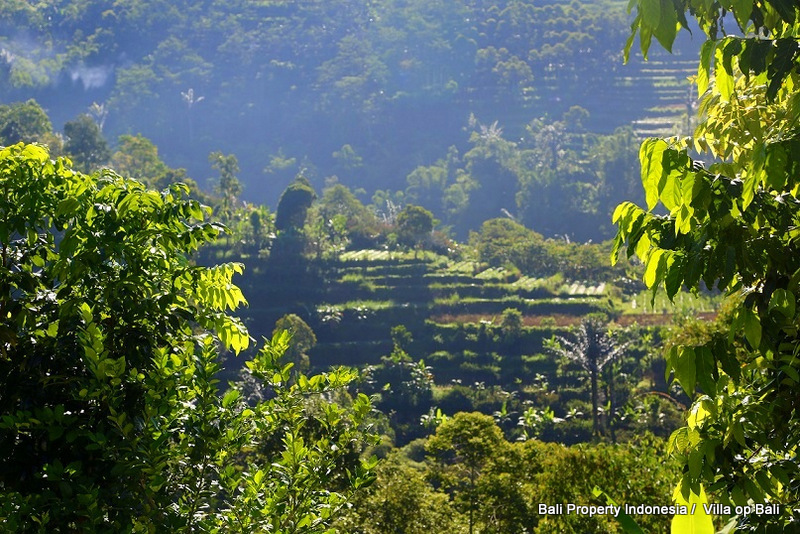 Baturiti village just a few kilometers South of Bedugul. 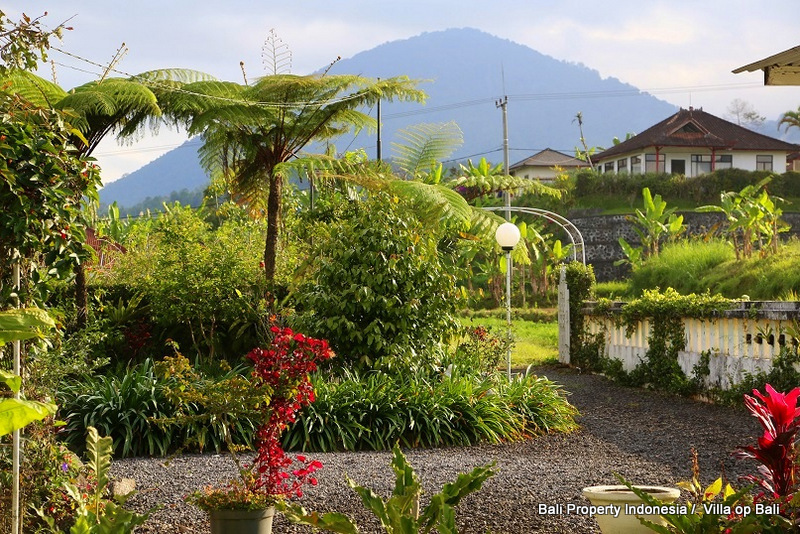 A nice are surrounded by mountains and of course the lakes in the Bedugul district. 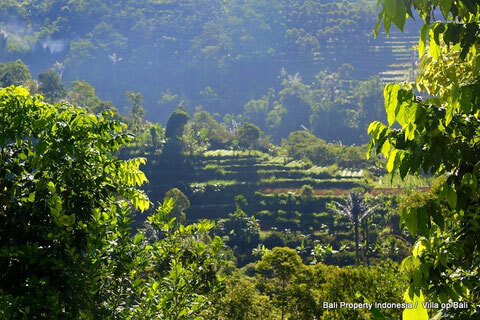 Even a golf course is close by. 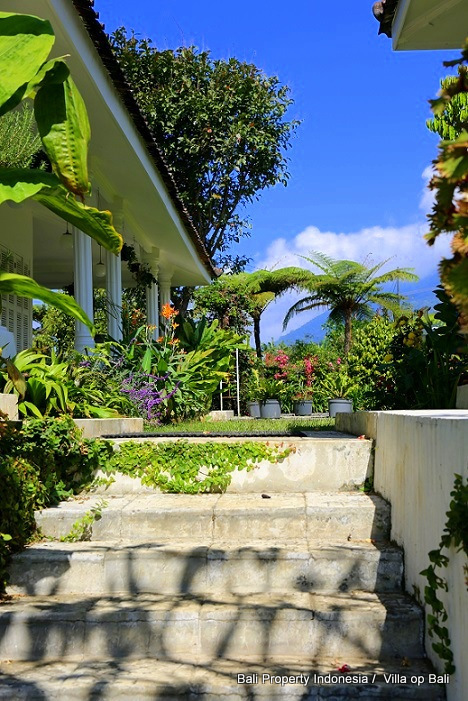 The higher altitude of this area makes this a cooler place to live, that’s why the villa is not equipped with air-conditioners. 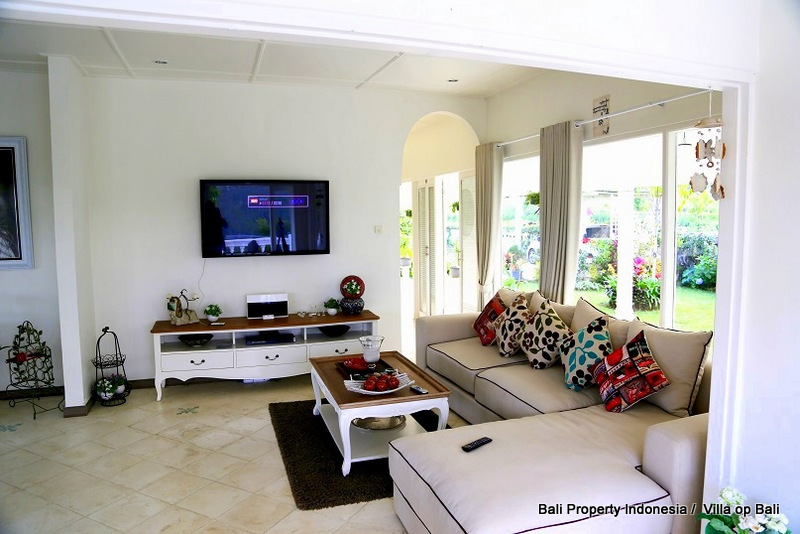 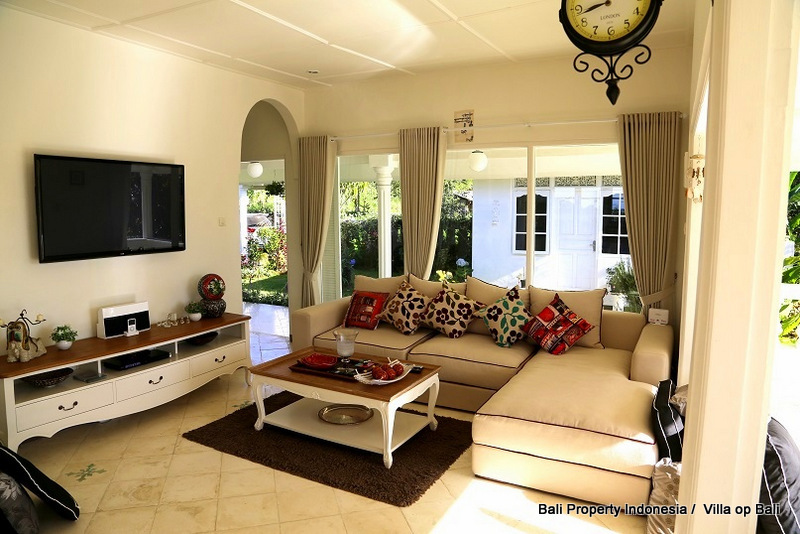 This property is on offer for sale with all its shown furniture and with an extremely long leasehold until 2115, there isn’t a better way to own a property in Bali. 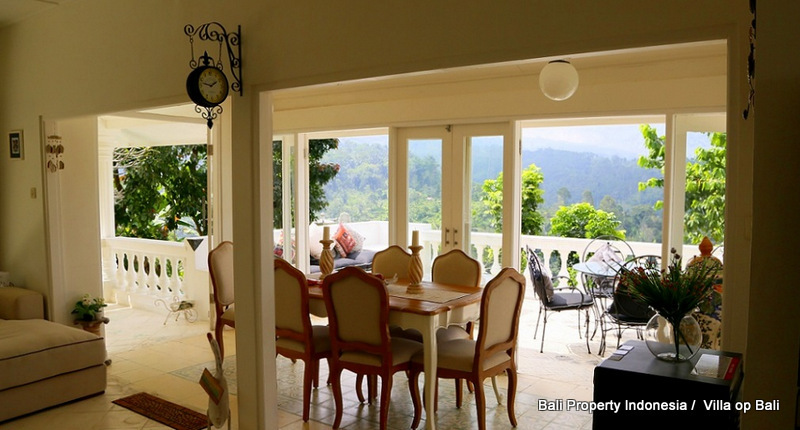 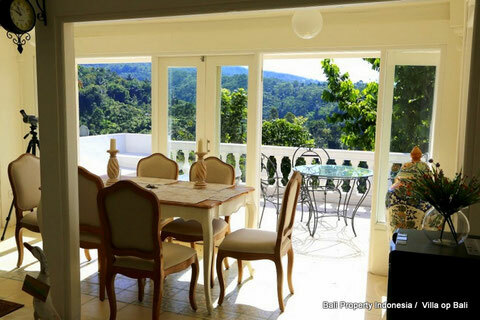 Are you interested in this charming mountain villa located in the vicinity of Baturiti? 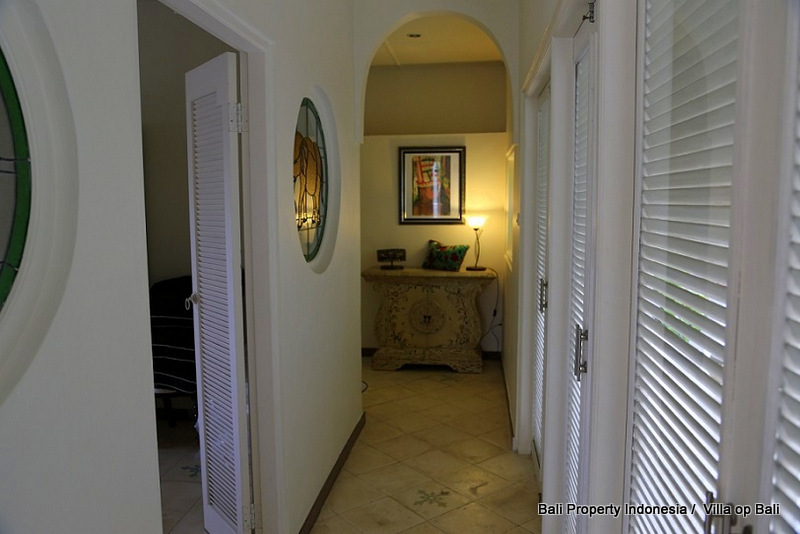 Contact us to make an appointment for a viewing.